Published on November 18, 2017 by Martyn. Be the first to comment! 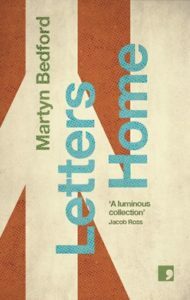 I’m off to Simon Armitage’s neck of the woods (or neck of the moors, perhaps) on Monday for the latest event in the launch tour for my new short-story collection, Letters Home. At the invitation of the Friends of Marsden Library, I’ll be talking about the book and reading extracts from it at the latest in the Northern Writers Reading series at the famous old library, which is housed in the West Yorkshire village’s Mechanics Hall. The Friends are a community organisation of volunteers set up in 2015 to promote the library, to assist the staff, and to keep the place open in the face of increasing pressure on local authority finances. 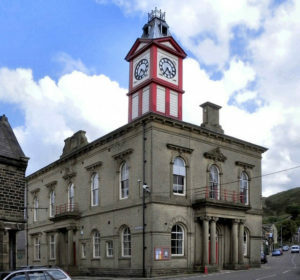 In the summer of 2016, Kirklees Council approved the first stage of transferring ownership of Marsden Mechanics Hall to the village, represented by Marsden Community Trust (MCT). MCT will be responsible for the upkeep and will need to generate income from rent and room-hire to cover the costs. Marsden Library is a very important part of the building, which has housed a library for the whole of its 150-year history. The MCT Board, Friends of Marsden Library and the Library Service have agreed to re-design the library to make better use of the space as a multi-purpose venue for the community. To this end, a fund-raising appeal has been launched and I’m very happy to do my bit to help promote the library and its campaign. Please click here to visit the Friends of Marsden Library website for full details of the event, which is from 7.00-8.00pm on Monday November 20th. Admission is free but donations are welcome.